Taping and the fun you can do with it. To pay all respect to a great nail designer and master taper, Jane and her Nailside page. I thought I would try it out. Not my first time using scotch tape my nails but, with this much detail yes. By far,the first thing to do is cut out all your pieces you’re gonna need and a little extra just in case. 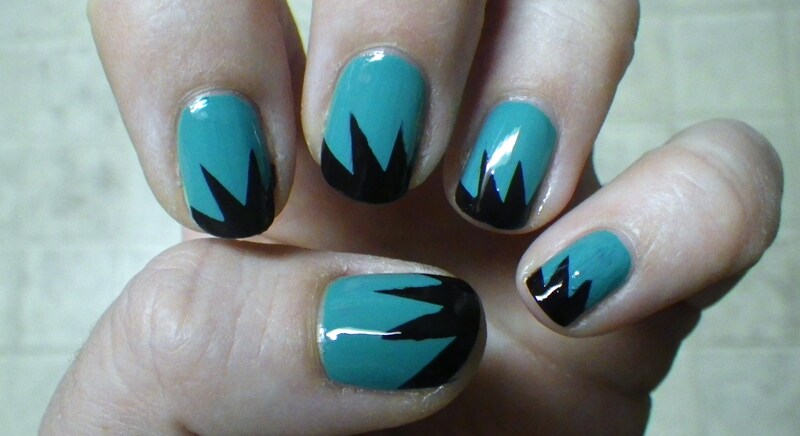 ‘Cause doing this with tacky or wet nails is not good. Trust me. 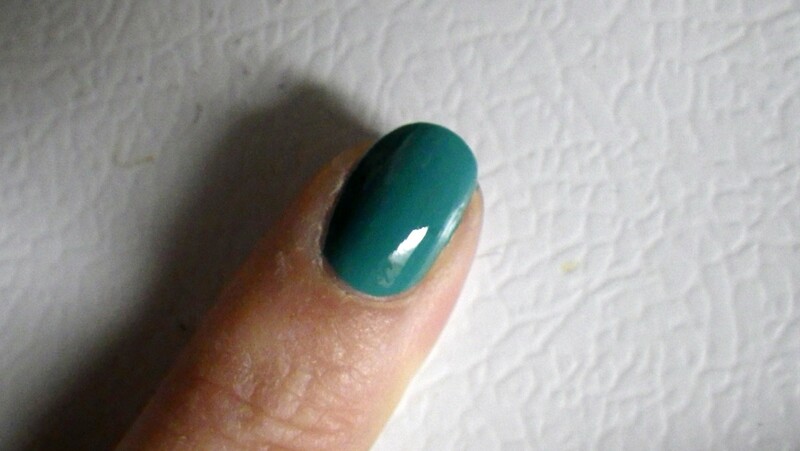 I matched my nails with my new blouse using Sally Hansen – Mint Sprint and my black pants it went perfect together. I will definitely do a lot more taping designs I found it easy and looks great for those that have a hard time with their non-dominant hand. I mostly love the look of taping it makes everything clean and neat/tidy. And thank you Jane for all your advice. how do you do these!? to answer your question I used plain old scotch tape. I cut out the design I wanted and taped it on my already painted nails. Make sure they are really dry first. Then, put the tape on and paint another color, peal the tape off soon after. You can also, check out the link I have to nailside blog. She has awsome tape designs. Try it out and send me your photo.